Julie Hummer, President of the Anne Arundel County Board of Education, has called for tax hikes on Anne Arundel County residents. Hummer’s facts could use some checking. Anne Arundel County Executive Steve Schuh’s budget proposal this year funded $12 million over the state minimum and fulfills 98 percent of the Board of Education’s total request. There is enough money for two-step increase and 80 new educators. Over the last four years, Schuh has funded education to the tune of $45 million over state minimums. If the County Executive’s budget had fully funded the Board of Education’s requests (often described as excessive) it would mean over $100 million in tax increases or would result in serious cuts to other departments across county government. What Hummer is calling for here, basically, is over $100 million in higher taxes on Anne Arundel County residents. 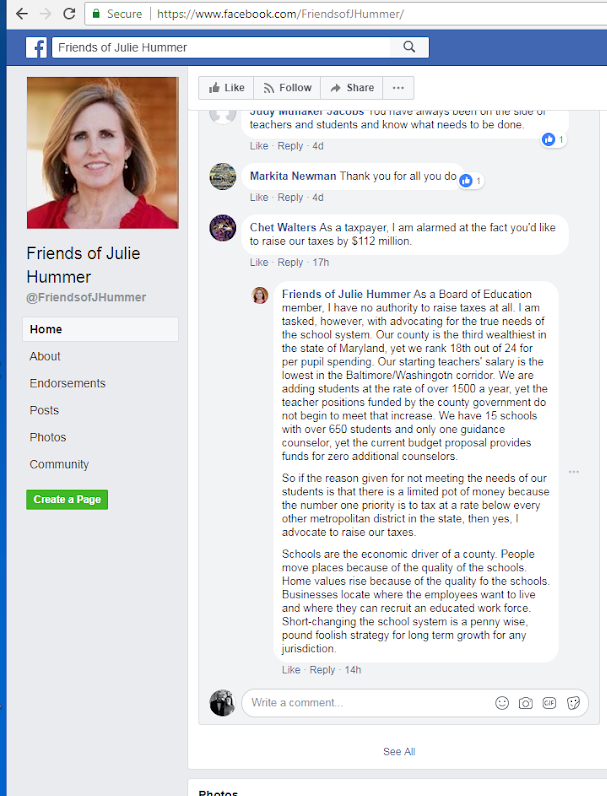 Hummer’s statement here shows, once again, why it is important that Anne Arundel County residents finally get an opportunity to elect members of the School Board. Not only is it imperative that the voters know whether or not Board members support tax increases, but it is also important to identify which candidates will be obstructionists in working with county government. 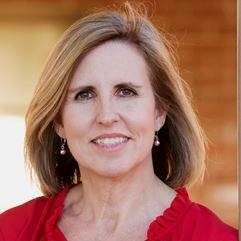 Now that Hummer has made her statement publicly, she will have to defend that statement to the voters of District 4, where she faces two candidates in the June 26th primary. 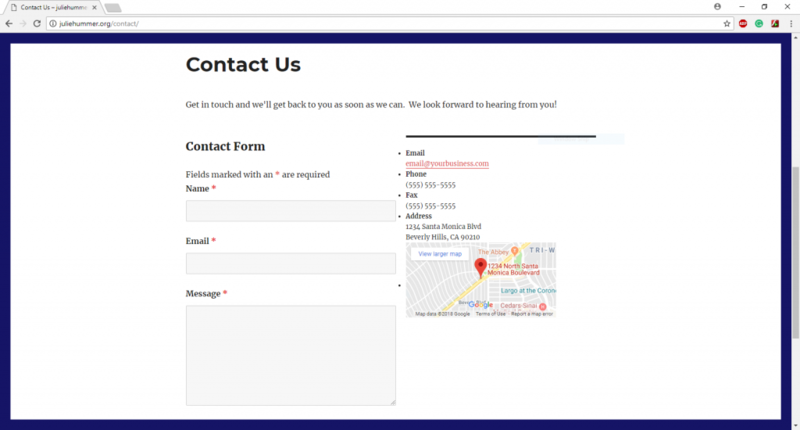 We’d suggest that you contact Ms. Hummer directly, but her attention to detail on her campaign website is a little bit lacking.